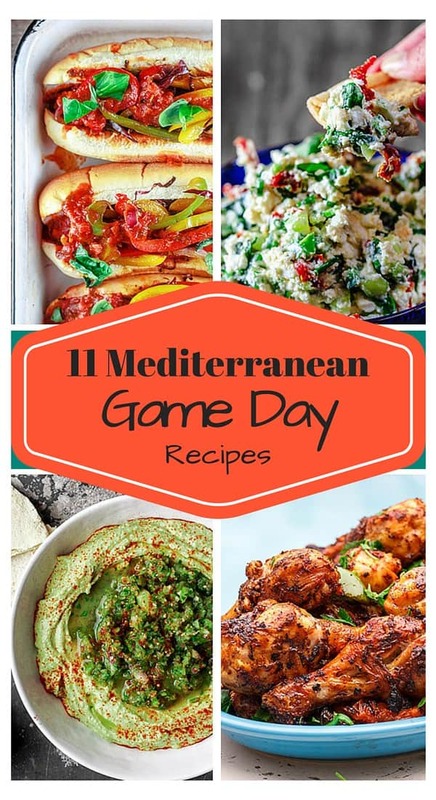 Home / Party Menus / 11 Game Day Recipes with a Mediterranean Twist! 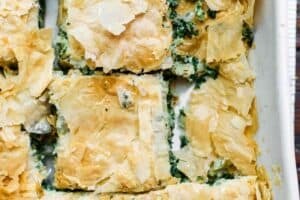 11 Game Day Recipes with a Mediterranean Twist! Got game day on your mind? 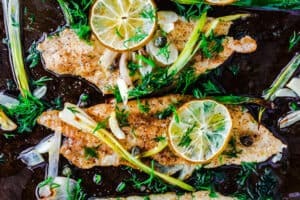 Here are 11 easy and crazy good Mediterranean game day recipes! 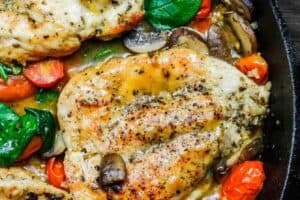 Be sure to prepare double the amount, these are flavor-packed party recipes that will have everyone coming back for seconds! 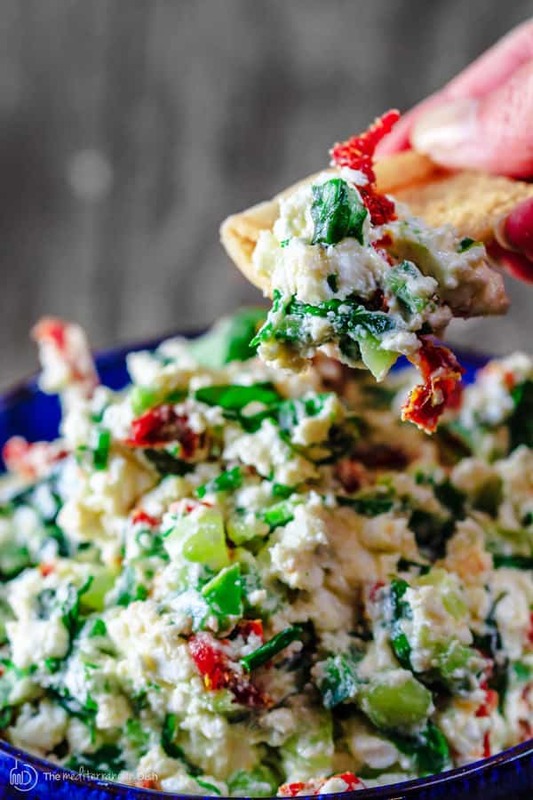 Last-Minute Feta Cheese Dip with crunchy cucumbers, chives, basil, sun-dried tomatoes…You can literally put this together 5 minutes before your guests arrive. Or prepare the ingredients earlier and simply combine them in your favorite bowl when you’re ready. 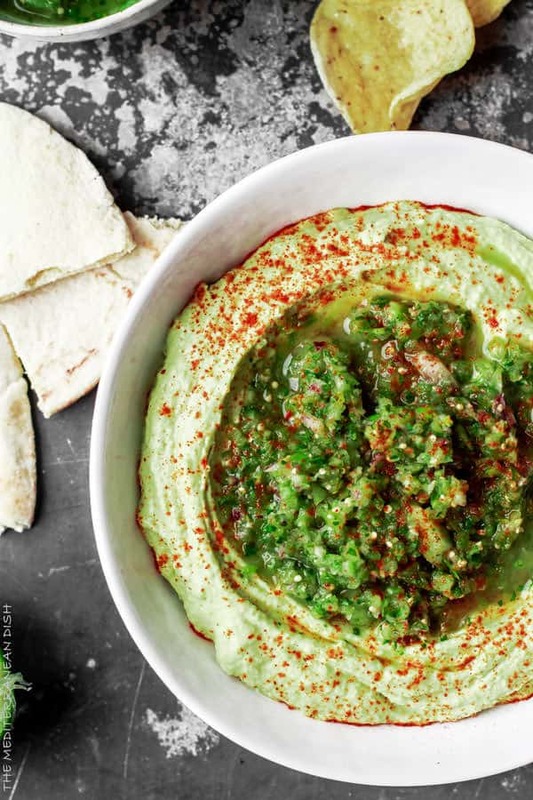 Creamy avocado hummus and fresh tomattillo salsa verde. 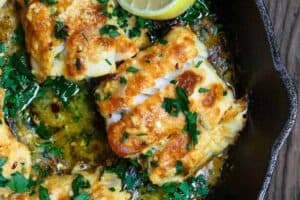 Two recipes in one! You can serve the hummus topped with the salsa, or keep them separate! Either way, this is perfect game day food! Baba Ganoush. 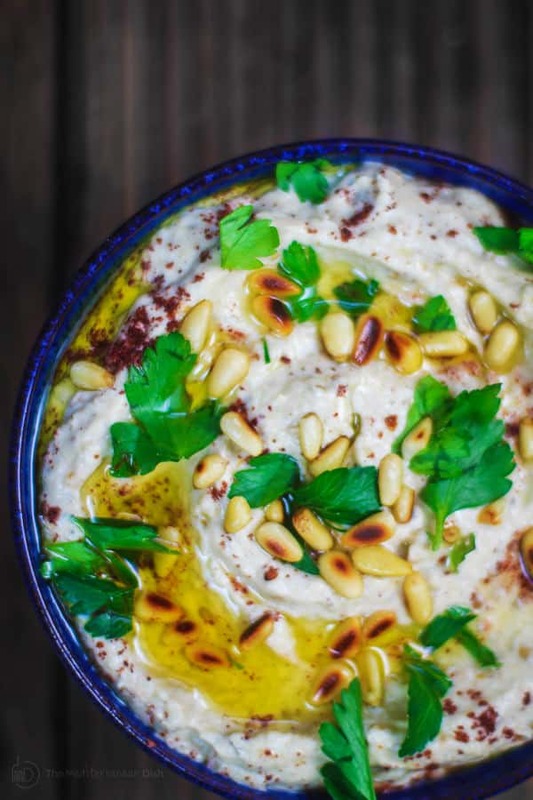 A creamy, flavor-packed dip of roasted eggplant with tahini, yogurt and a little garlic. You can make this recipe a couple of days in advance, refrigerate in a tight-lid container. 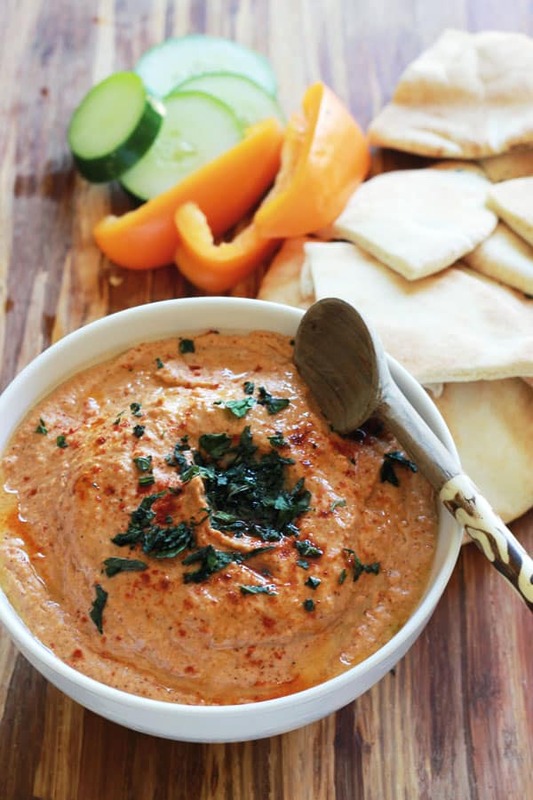 And an oldie-but-goodie is this roasted red pepper hummus. I add jalapeno for a little kick. So good! 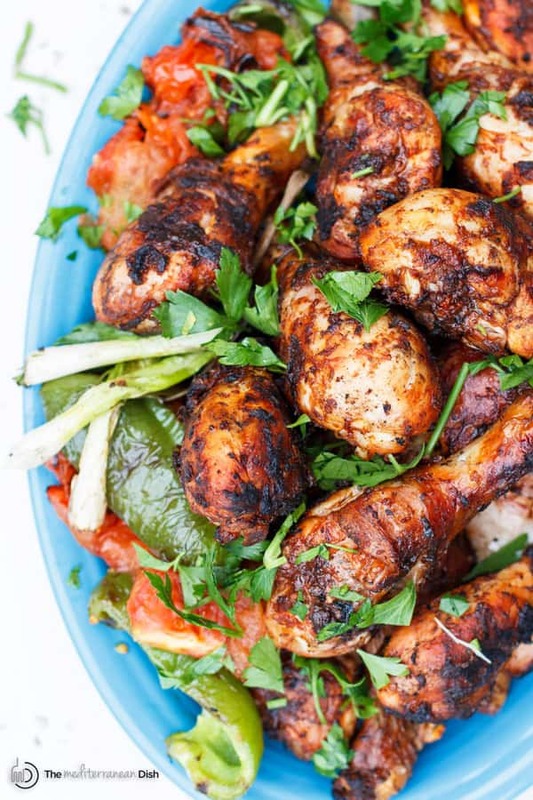 If you plan to fire-up the grill, I say ditch those small chicken wings and try my spicy chicken drumsticks with garlic and harissa or these authentic Mediterranean-spiced chicken kabobs. 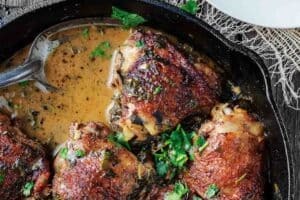 In both chicken recipes, you can marinate the chicken two days in advance; refrigerate in a tight-lid container. 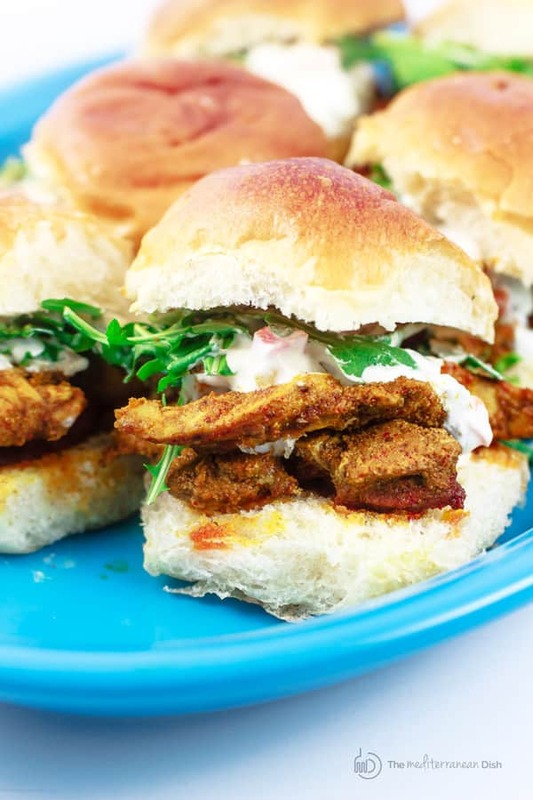 Grill when your guests arrive; it’s like tailgating at home! 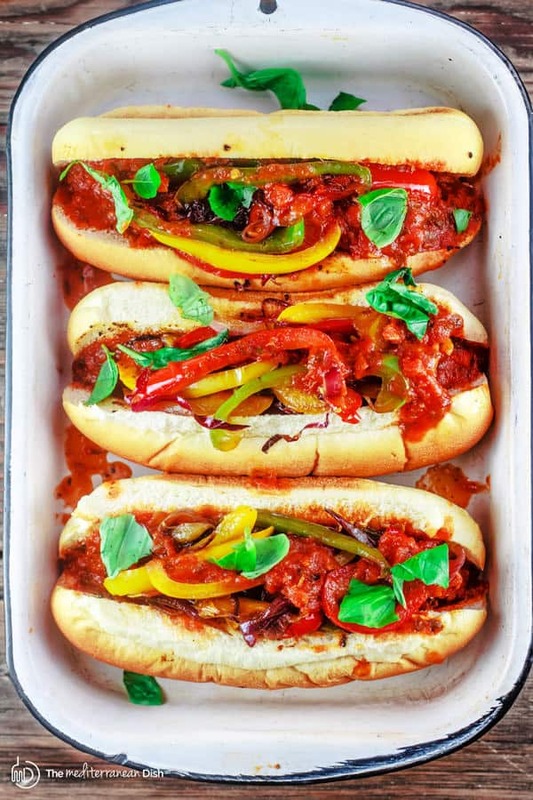 Or this hearty game day sandwich loaded with Italian Sausage, onions, peppers and sauce! 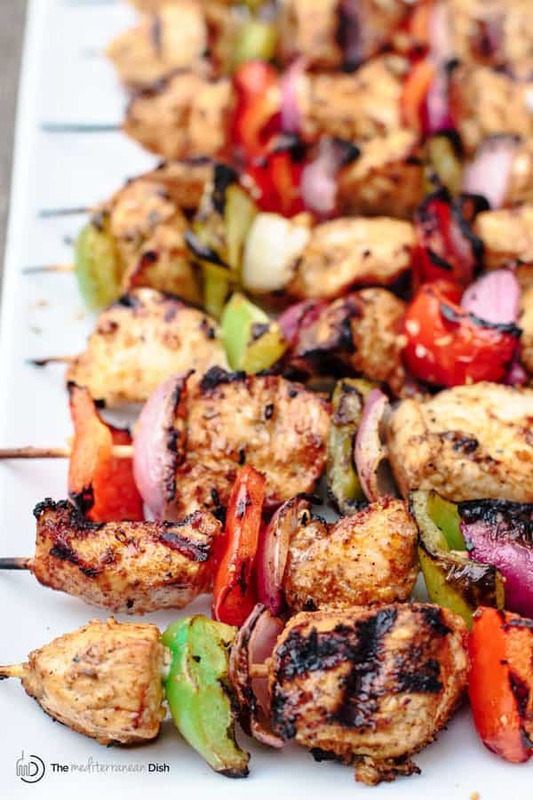 A little party skewer goes a long way! 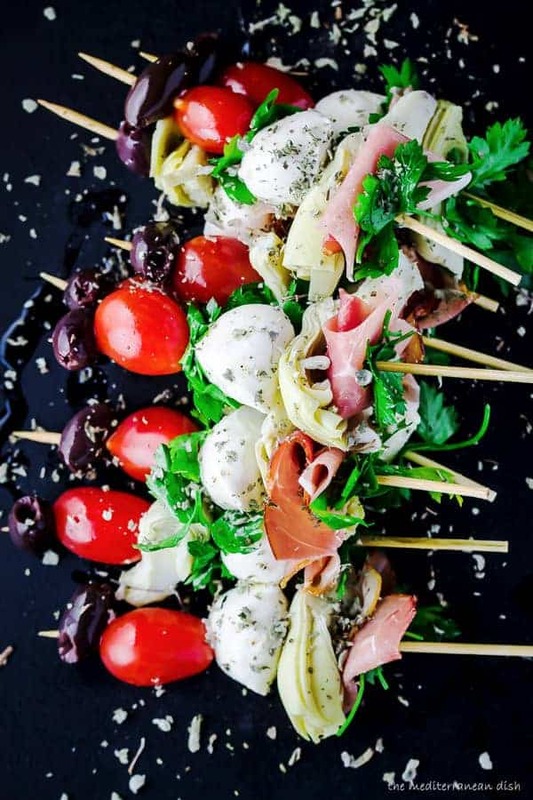 My favorite are these easy Antipasto Skewers. You can totally make them your own! Many of us like to add a little pizza to the party. 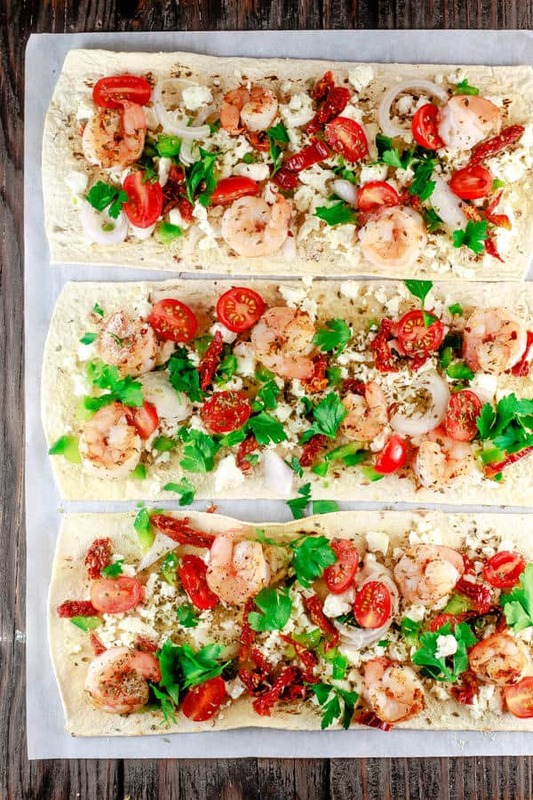 Here’s one that’s healthy and ready in less than 10 minutes: Mediterranean shrimp pizza with FlatOut Bread. 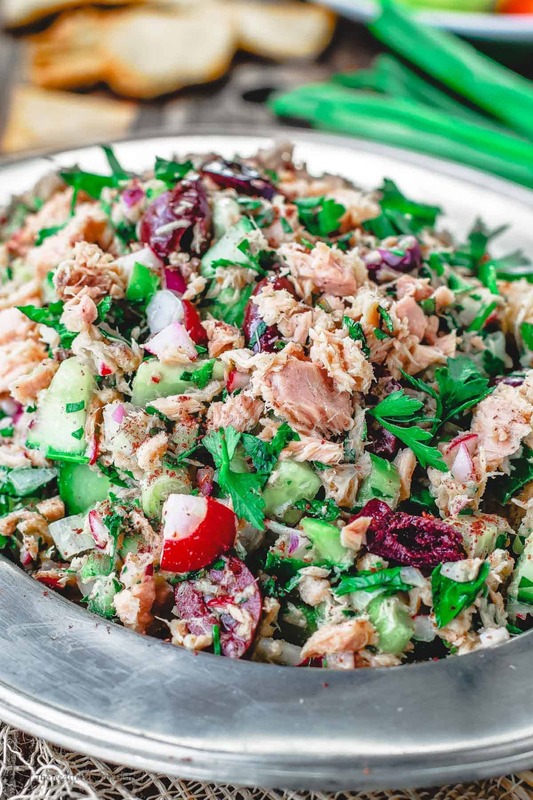 And another healthy party food is my favorite Mediterranean tuna salad. Serve it with pita chips or on top of tomato slices! So many delicious ideas for elevating typical Superbowl fare! Thank you, Justine! These are some of my faves! 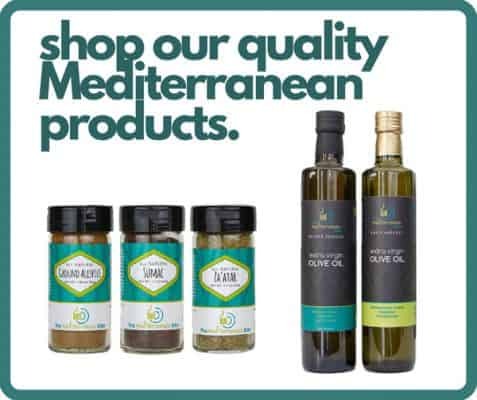 Oh yum, these all sound great and would be welcome on my football parry table for sure! These photos are so beautiful – and they all make me hungry! Thanks so much, Michelle! Hope you’ll give one of them a try for game day! Fantastic collection for Game Day! Thanks, Florian! I’m excited about this roundup!